Mars is in the news again.1 And again. It seems that everyone is going crazy over Mars. The problems of getting to Mars are many and difficult, but that’s not stopping plenty of people from making plans and issuing press releases. When I think back to my youth, I recall reading my first science fiction novel in a small local library after school in 1953. It was E. E. (Doc) Smith’s story of space travel, one of the Skylark series. At that time, no one had even put a tiny object into orbit. No one knew how much payload could be put into space. No one knew the effects of prolonged weightlessness on people. The Van Allen radiation belts were discovered and verified by Explorer 1 and Explorer 3 in 1958, raising the issue of radiation in space. Despite the lack of experience in putting satellites in orbit and the great uncertainties in putting a human in space, the United States not only put men into space but even put them on the Moon just eleven years later. ELEVEN YEARS! Starting from a tiny satellite in orbit, a lunar landing module weighing over 1,000 times as much and holding two people landed on the Moon in that short time. Those who say that we can’t put people on Mars in 10-15 years don’t remember the magic decade of the 1960s. You have to watch out when you use that word, “can’t.” The Mars Direct program was proposed in the 1970s and was to have people on Mars by 2000. That didn’t happen, and technology has advanced enormously since then. It’s more possible today, and it’s still a very tall undertaking. Mars Direct had the idea of sending the return vehicle ahead of the manned lander and having it somehow make its own fuel for returning during its long wait. The people landing would await the next launch window on Mars, about a year and a half wait. Having tested all sorts of ideas and done lots of science, they would return to a hero’s welcome — if they made it safely. Other plans to visit Mars have a round-trip in mind — except for one. The Mars One plan is a one-way trip with no option for returning. If something doesn’t work out, too bad. If the impact on health of 38% of Earth’s gravity causes serious problems, the settlers will just have to live with them. Yet, why go to Mars if not to prepare for settlements? How many manned round-trips are necessary before settlers can go? The Mars One people say none. This is by far the boldest approach. No one else has estimated an estimated time for settlement. You might have three possible strategies for settling Mars. The most risky is the Mars One approach of doing it on the first try. The Mars Direct approach sends the return vehicle in advance and has it extracting fuel from Mars for the return trip. 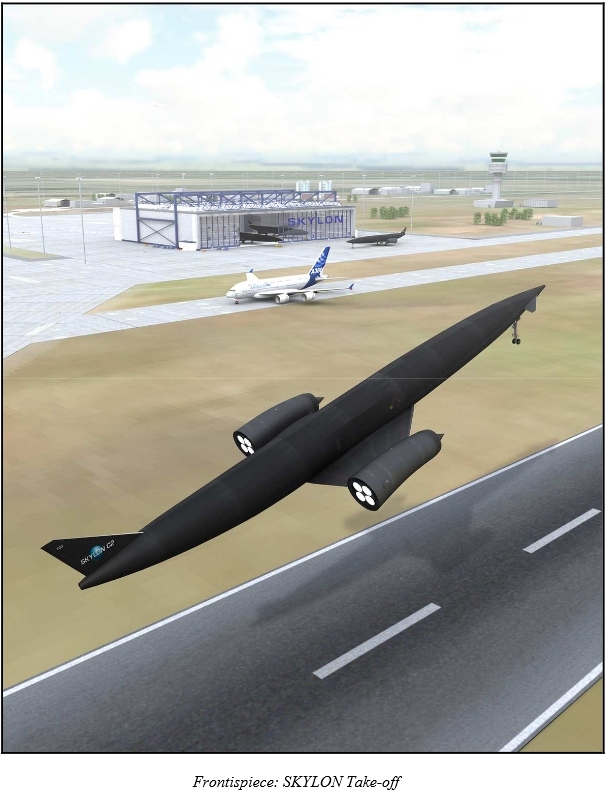 The Reaction Engines TROY project envisions a similar scheme that uses its SKYLON launchers and three round-trip manned missions to Mars, each with six people, following unmanned supply and analysis landings. Inspiration Mars plans on a single round-trip of two people who merely orbit Mars before returning to Earth. NASA plans are less ambitious and involve manned orbits of Mars with possible exploration of Phobos. Landing would be in the mid-2030s. No plans have been announced for permanent settlement. 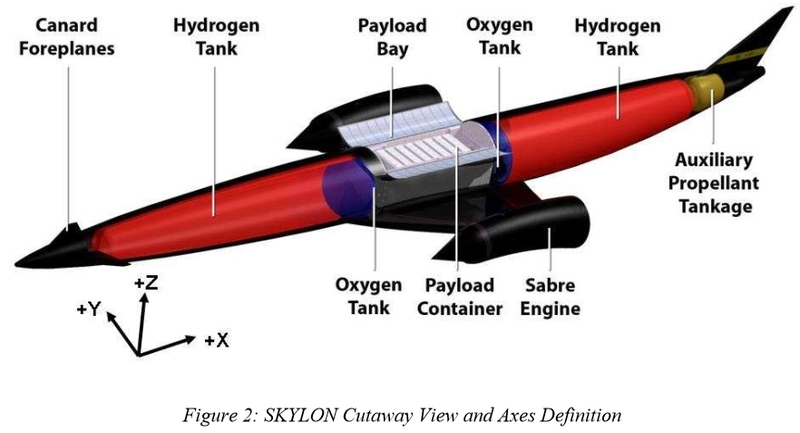 Images from the SKYLON Users’ Manual, Jan. 2010. As they have announced, Mars One believes that they can trade the difficulties of a return trip from Mars for the difficulties of living permanently on Mars. In both cases, the actual constructed technology does not exist. The underlying technological developments may exist for both. Both will cost large amounts of money. Both will require a commitment of very many years duration. The common problems include lifting enough mass into Earth orbit for the mission or missions, the flight to Mars, landing on Mars, forward contamination, and surviving on Mars for about a year and a half. Right now, we don’t have the capability to lift enough mass and put it on the path to Mars in a single flight. 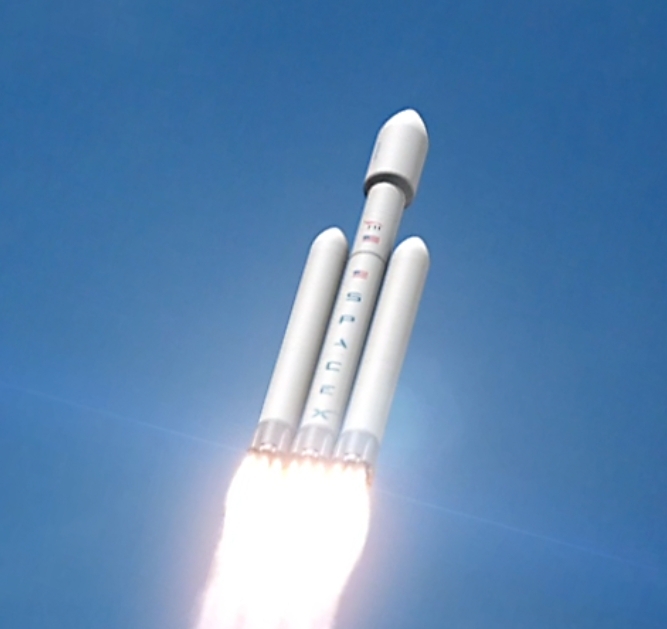 Either we must have a new lifter (the SpaceX Falcon Heavy, for example) or must assemble parts in space. The Mars Direct project assumed the former; the Reaction Engines TROY project uses the latter extensively. The cost of assembling in space more than a trivial link up would be great and would involve using the ISS or similar orbiting apparatus to dock and assemble the actual Mars craft. The cost of lifting the entire mass of a full Mars mission would also be great but probably substantially less than the TROY approach. 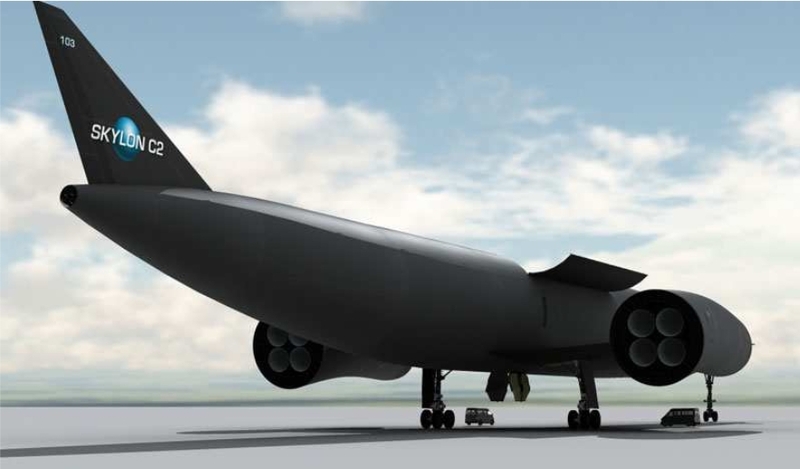 However, Reaction Engines presumes that the SKYLON lifter will be successful and used at far lower cost per kilogram lifted than alternatives. SKYLON has yet to be demonstrated. Once the astronaut team and space craft are in Earth orbit, they must burn their engines to escape Earth gravity and leave on the trajectory to intercept Mars. We must assume that this operation will be successful given some 40 missions already completed. Landing is another matter entirely. The mass of the modules to be landed on Mars is greater than any so far by a large margin. Given the wild (and wildly successful) scheme for putting Curiosity on Mars, it’s clear that another breakthrough is required. Perhaps, the SpaceX Grasshopper technology will make soft landings on Mars practical. No one knows at this time. Until a proven means for delivering relatively fragile and massive cargo to Mars is developed, this may be the greatest impediment to any of the schemes to land people on Mars. The mass required to house and support a small crew for over year on Mars exceeds anything yet done or even near our current experience of landing on Mars. Having human pilots would improve the likelihood of success. However, several unmanned modules must also land. Some will have to precede the first manned landing in most scenarios. Will their lower fragility allow for automated landing? We can’t be sure yet. Can some modules accompany the astronauts or wait in Mars orbit for their arrival so that they can be remotely piloted down to the surface? Perhaps. Survival on Mars for somewhere around 18 months poses some real issues. There’s an assumption that cosmic radiation will not deter the roughly three-year mission. So far, that seems to be the upper limit to NASA’s standards for radiation exposure, which are a bit conservative. The most serious problem involves solar flare radiation, strong streams of protons that can bump exposure far beyond acceptable limits. Fortunately, these are easier to shield than the ultra powerful cosmic rays. Still, provision must be made for shielding astronauts from solar radiation during both trips (if they are returning) and on the surface of Mars. The thin Martian atmosphere provides almost no protection from overhead radiation and only partial protection from radiation coming from the horizon. Here, there’s a significant difference between a long-term and a short-term stay on Mars. Investing the time necessary to construct radiation shields on Mars will make more sense for a permanent settlement. It may turn out to be unavoidable in either instance, although a short-term stay could include a special radiation shelter using polyethylene or other material in thick layers to stop the solar protons. Another idea would use large tanks overhead in the modules that would be filled with water and act both as water storage and radiation shielding. The nature of the crew would change depending on the mission. A round-trip mission could have a single gender crew, and age would not be a crucial factor, except for the radiation exposure issues for those intending to reproduce afterward. Also, a round-trip crew would use members much like those of the Apollo mission with the additional psychological issues of screening for three years of confinement together without any other humans nearby. A permanent settlement would not require the same sort of background but would require much more extensive psychological testing, more diverse capabilities, and thorough genetic screening so that known diseases of aging (diabetes, Huntington’s, Parkinson’s, etc.) are much less likely to produce a burden on the colonists and be passed on to children. This approach may seem discriminatory but would have to be done for pragmatic reasons until the settlement becomes self-sustaining. Similarly, the demands on living quarters will be very different. A lifetime home is quite different than an eighteen-month one. We must assume that the Martian environment will not change significantly in the next couple of decades and have living quarters that humans can enjoy for that long period of time if we’re colonizing Mars. A much more extensive article will be required to explore all of the details of a Mars habitat for long residence. In the short run, oxygen can be provided from stores brought with the travelers. For long-term occupation, it must be generated from Martian materials using local power. Electrolysis of either water mined from below the surface or from the CO2 in the air might be employed for the purpose of generating oxygen. Plants growing for food can help here but will not be sufficient for a number of reasons. In either scenario, recycling of water will be absolutely necessary for survival. The surface of Mars is dry, but frozen water exists below the surface. Temporary residents may be able to carry enough surplus water for their stay, but settlers would have to have a Martian source. The landing location must be selected to have a good concentration of water close to the surface. Serious mining operations are not an option for the early years of Mars occupation. This water will be ice mixed with sandy dirt containing toxic materials. It must be melted and distilled before use, requiring even more power. A short stay of 18 months can survive on dehydrated food, but would be very much easier on the explorers if some were to be grown there. Such an operation would provide important data on our ability to grow various plants on Mars. It would certainly use artificial lighting. Permanent occupation would require growing food. This is another complex area involving pollination, harvesting seeds in addition to food, recycling plant materials not used for food stuffs, and selecting and breeding plants for the most efficient and nutritious eating on Mars. Supplements in the form of yeast and/or algae may be necessary for adequate health. No one knows the long-term effects of 38% of Earth’s gravity on human health. At this point in time, we have just two data points: 0% and 100%. That’s hardly enough to establish a relationship between gravity and health. We can reasonably assume that high gravity will be deleterious to health. We also know that we have evolved to work in 100% gravity. We also evolved to live to an age of around 40-50 years. Could it be that lower gravity would make old age easier and even longer? We have no idea one way or the other, but it’s an interesting speculation. The life expectancy versus gravity curve is certainly low at 0%, known at 100%, and decreasing above 100%. What happens between 0% and 100% will be very interesting to find out. If we ever build a Moon base, we’ll have a point at 16%. Mars will give us 38%. There’s nothing else in the near future unless and until we create rotating space stations. Due to the extreme unknowns here, it may be better to design missions with two or four years on the surface before committing to permanent settlements. Our missions to Mars have been carefully sterilized to avoid forward contamination, injecting Terran organisms into the Martian environment. No one really believes that Terran bacteria could survive on Mars, but the search for signs of life would be seriously compromised. This issue would have to be ignored for colonization because people would certainly contaminate the Martian surface with organic material, including possible bacteria and viruses. Neither would last long in the strong ultraviolet light, desiccated conditions, and radiation. Round-trip missions also must consider back contamination, Martian organisms being brought back to Earth. Once again, the likelihood of a Martian bacterium surviving in our environment is so close to zero as to be indistinguishable from zero, if Mars life ever existed and had evolved to the cellular stage. Earth’s organisms have about four billion years of evolution over those that might exist on Mars. The Martian ones would be hopelessly inefficient in comparison. Still, as long as the back-contamination protocols are being observed, they add to the cost of the round-trip Mars expeditions. Long-term existence on Mars requires one more thing that cannot be quickly resolved — transformation of the air at least to a pressure we can walk about in and, preferably, to enough oxygen to breathe. To compensate for the fainter sunlight, greenhouse gases should be included but not in high enough concentrations to be toxic. Calculations suggest that about 670 million metric tons of oxygen would do the trick. Even with an all-out effort, this amount of oxygen would take centuries to create by electrolysis of water, the usual approach recommended. Plants cannot do either because they simply turn CO2 into O2 and have to have the carbon dioxide to begin with. If every molecule of CO2 on Mars were converted to O2, you’d have only 10% of the necessary quantity of oxygen. Someone has to invent another approach. Growing plants outdoors on Mars requires more than water and air. The Martian “soil” is a mixture of dust, sand, and rocks that exists in a highly oxidized state that will thwart growth of any Terran plants we know. Simply, the dirt is toxic and would have to be cleansed somehow of its perchlorates and other dangerous compounds. Even then, plant growth depends on a complex interaction of bacteria, worms, organic, matter, and more to produce a supportive soil. We would have to create that soil artificially or breed plants that do not require such pampering — or a combination of these. We could start with desert plants and breed them to produce edible parts, but this would take years unless we resort to genetic engineering. It’s safe to say that Martians will be eating lots of GMO food. Much of our Earth-based food involves animals, especially eggs and milk products along with all sorts of animal flesh. On Mars, that system of food creation will be unavailable. Animals will not survive outdoors, and even if they could they’d be eating plant food that people should be eating. The simple arithmetic of food chains tells us that you lose 90% of energy every time you take a step up the food chain. Unless you have lots of energy to spare, you have to stay low on the chain, which means that you’ll only have producers and primary consumers, of which we must be the only ones on the planet. We’ll probably have some carefully selected decomposers too. For the colonization of Mars, other issues remain. For example, there’s the matter of how many people are required to make a viable stand-alone human population and what their genetic diversity must be. There’s also the matter of having an unchanging vista without trees, water bodies, birds, clouds, etc. Our brains are so used to this stuff that they may well go haywire when confronted with such an alien landscape for long enough. We are so used to the idea of doing things democratically that a small group of maybe twenty people will attempt the same thing. With such a dangerous environment, strong leadership will be a requisite for survival. People make their decisions for a great many poor reasons. When the wrong decision means extinction, you cannot let this happen. Someone has to be the rational, critical thinker for the group. Does this mean creating a dictatorship? Possibly, for a while anyway until the settlement achieves a safe state. At least, it means ceding independence to a person or persons who will be responsible for life or death for the small colony of immigrants. Interpersonal conflicts would have to be dealt with harshly. One more aspect of life on Mars for a colonizing effort remains, although the readers are welcome to suggest more. That one is religion. This is a tough issue for many, although recent surveys suggest that it’s becoming less difficult. We cannot assume that all Mars immigrants will be of the same religion let alone the same religious sect. Almost all marriages, assuming that this tradition continues, will be between people of different religious backgrounds and, almost certainly, of different ethnicities. People will have to be very self-reliant. The old saying that “God helps them who help themselves” will take primacy. Religion as we know it will have to recede and be blended into new traditions for Mars that use some of the old ones just because they work for the human psyche. Indeed, the parts of religion that represent tradition may well be built anew by the Martians themselves. The ideas of a personal God and immortality will probably be left to individuals to decide alone. No one can say what will happen in this area when the population grows to hundreds of people. The human impulse to explain the universe and human existence with supernatural means is strong. By insisting on an excellent education for every single Martian, we may be able to avoid religious demagogues and the use of religion for personal gain. The initial Martian settlement’s social organization will most likely resemble socialism because there will be no money or capital in the beginning. Everyone will have to contribute 110% to survive. The incentives to work hard will be very strong until the colony has an ample surplus of goods and energy. That date will be many decades away, and we cannot even begin to envision that day. After all of this analysis, you may note no clear winner. It looks like a single round-trip to try out the whole concept would work best, but things can change quickly as new technologies and ideas evolve. Certainly, the immediate colony approach would require substantial automated investigation to find a suitable site and test some of the ideas. Much Earth-side work would also be required to find out what works and what doesn’t in terms of food, water, recycling, energy, and more. This short exposition cannot do justice to many of the issues in deciding which way to go. Hopefully, it has illuminated a few important questions for readers. Pure science fiction nonsense. None of what is stated above is now possible – pure speculation. And, SpaceX’s Grasshopper will never be able to land on Mars. Without NASA support, Virgin Galactic would not exist. And, Virgin’s tack record is horrible, which is why Russia got the contract to deliver astronauts to the ISS through the end of 2016. I have written the FAA and demanded that they not give Virgin a license for sub-orbital space flights because it is too dangerous. Only trained astronauts should be allowed to go on suborbital space flights or missions to Mars. In the above post, I meant to say that both SpaceX and Virgin Galactic would not exist without grants from NASA, which is basically tax payer money. Private companies will never be able to afford space exploration; the deep pockets of governments are needed. And, NASA awarded the contract to for taking astronauts to the ISS to the Russian Space Agency – Roscosmos because of SpaceX’s poor performance and inability to meet the safety standards for taking people to the ISS. I sent a letter a few months ago about Virgin Galactic getting a license for ferrying tourists to space on its suborbital flights; but, you have not replied. I don’t understand why the government is messing with this nonsense. This is a very dangerous proposition and pointless. Is this the new Disneyland for the wealthy? The likelihood that there will be a crash is huge and many will die. The likelihood that people will die even if there is no crash is very high. Going into suborbital space is for trained astronauts, not Lady Gaga. Please explain why the government is allowing this to happen and wasting tax payer dollars? What is sad is that Virgin Galactic would not exist without huge funding grants from NASA, which again is from us taxpayers. The idea of colonizing Mars “permanently” (this is a wholly inadequate specification of time duration) is absurd. If you can’t state a minimum duration of survival, then the mission cannot begin to be analyzed or designed. Given that life on Earth likely took hundreds or thousands of false starts to get going, and that despite the success of life at this juncture, Earthlings have still not adopted any time commitment to preserve habitability of their planet for human life, how can anyone kid themselves that they’ll do a better job of defining responsibilities to the future with the “option” of sending the top of the food chain to a 2nd, less hospitable planet? The entire “colonization” pipedream reeks of self-delusion, grandiosity, and ignorance. And, irresponsibility. We would be so much better off to imagine humans embarking on their first serious commitment to preserve Earth as habitable environment going out X 100 years into the future. Call it Mission Earth 3000. Get the best scientists and engineers to plan it out. Put it in writing. Make it a legal commitment, with all means of preventing mission failure. Debate the alternative, going forward without any time commitment. I am very excited to see a mission to Mars in my lifetime. Which, thanks to Musk, I believe is going to happen. There is so much that SpaceX has accomplished in such a short amount of time. Read his profile here to see what Musk has accomplished at SpaceX.